Bourbon Trail Motors is a family owned and operated business located in the John Rowan Industrial Park right in the heart of historic Bardstown, Ky. The owners AC Cardwell and Matt Stout have a combined experience of over 42 years in the automotive industry and are very knowledgeable in all aspects. We pride ourselves in offering great quality inventory at the lowest prices in the area due to our low overhead and the fact that you are dealing directly with the owners! We also give our customer some peace of mind with our 90 day / 4,500 mile warranty with most purchases. We also guarantee you a fast- friendly- honest and integrity based service that far surpasses any other dealership in the area!! Your business and your time are very valuable to us and we will never take that for granted! 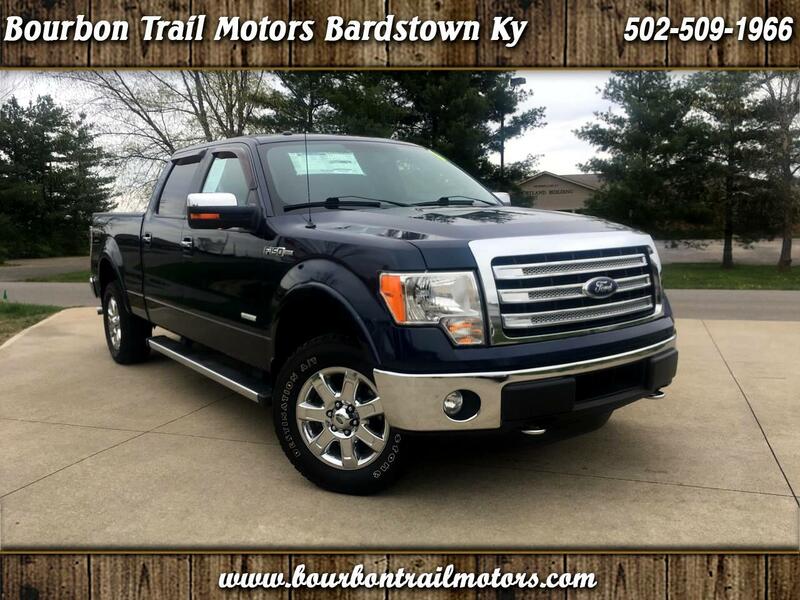 Stop by today or visit us at our website www.bourbontrailmotors.com and see why everyone is saying '' Where the Deals are as Sweet as the Bourbon!'' We promise you will be glad you did !! WE PRICE OUR VEHICLES TO SELL! PLEASE CALL TO CONFIRM AVAILABILITY BEFORE YOU MAKE THE DRIVE! WE OFFER A WIDE VARIETY OF FINANCING OPTIONS! $O DOWN AND RATES AS LOW AS 2.9% FOR WELL QUALIFIED BUYERS AND QUALIFYING VEHICLE! Some vehicles due to year and/or mileage may not qualify for our 90 day 4,500 mile protection plan. Please ask us for details.